Do you have call center experience? Do you have a degree? Are you a mom (or dad) looking for legitimate virtual call center jobs from home? Are you looking for a job where you can set your own schedule so you can be there for your kids? Check out this NexRep review to see if this company will provide you with the kind of job you are looking for. 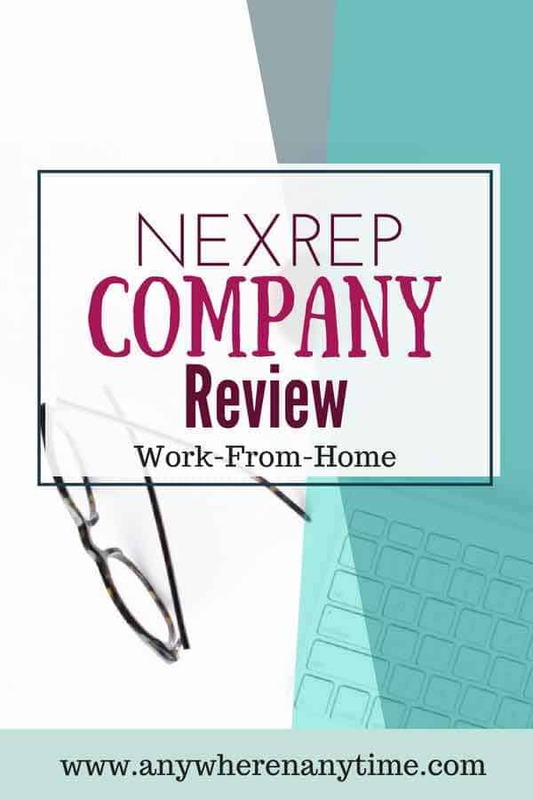 NexRep is a telecommuting company that hires independent contractors to work from home as virtual agents. The company provides services to a variety of clients resulting in a number of different types of virtual positions – inbound and outbound sales as well as customer service. Presently they recruit and train home agents from anywhere in the US. Flexible scheduling – You schedule yourself each week based on availability for the following week. The company is very flexible, so you won’t have to worry about missing events with your kids. Good support system – Many NexRep agents say that their favorite part of the job is the support and ongoing training they get from their teams and supervisors. Multiple projects / clients – If outbound sales aren’t your thing, there are other projects available that may suit your needs and desires better. They hire in all states – This is perfect for families that have to move a lot and especially great for military moms who want to work. Unlike many virtual call centers, if you have to relocate, you don’t have to worry about losing your job. Decent pay for most positions – While some users report low earnings, many report earning as much as $1000 / week in sales commissions. If you’re good at sales calls, this is definitely a bonus. Reliable pay – NexRep pays out every 2 weeks by either check or direct deposit. There are very few cases of people saying they had issues getting paid and many people say they’ve worked for the NexRep for years and never had a problem with pay. No dedicated phone line required – Unlike the majority of virtual call centers, NexRep does not require you to have a dedicated landline telephone. This helps lower the costs you incur as an independent contractor. Low pay for a few of the positions – Some past and current NexRep agents who work in the per minute projects report low earnings due to lower call volumes. Other agents admit that they are working the day shift for the project and could earn more by switching to the evening shift, or by switching to another project. Minimum scheduling – While NexRep is very flexible when it comes to when you work, they want you to have a minimum amount of hours. Some projects require at least 15 hours per week while others require a minimum of 25 hours weekly. Background check expenses – While it really is a low cost, having to pay for a background check can be a financial burden. Thankfully, this one is only going to run you $25. Preference to college graduates and experienced service agents – NexRep prefers to hire people who already have at least 2 years of call center experience under their belts along with a college degree. For the pay that they normally offer, especially on the inbound side, this seems to be a bit overboard. NexRep is a company that has more than 50 years of combined experience in the virtual call center and customer service arena. They offer multiple projects in both inbound and outbound telecommuting positions. They provide training to all accepted applicants and are generally considered one of the better virtual call center companies to work for. Currently NexRep is contracting for the following call types, but the greatest need is for GrubHub Customer Care: inbound sales, outbound sales, outbound appointment setting Sears Vacations and GrubHub Customer Care. There are other positions that are presently full including music streaming customer service, beauty consultants, customer care and insurance lead generation. You can see their present needs and general related information here. And if you click on the “Learn More” bar underneath any category, you will see a general description of the job along with duties, skills/qualifications and additional information including pay, minimum required hours and available shift times. A few past agents have expressed that they didn’t like the up-sells or the scripts that they had to follow in the inbound sales jobs and felt like they were forcing poor quality items on elderly people who weren’t interested in them. At the same time, there were plenty of people expressing how much they enjoyed the jobs and that it all depends on how you do it, if you have sales skills and so on. Others pointed out that you also have the choice of changing projects if a particular one doesn’t suit you. How Do You Join NexRep? Getting started with NexRep is pretty straightforward. You can submit your application on their site and if selected, they will schedule a phone interview with you. The communication before the phone assessment is done primarily via email. The application is pretty thorough – it is wise to answer everything fully and attach a complete resume as they won’t ask for further information later. Once that is complete, you will be asked to pay your $25 for a background check to ensure you do not have any felonies on your record. They are required to do this as you may be privy to customer’s sensitive information. Once your background check and other paper work is complete, you can schedule a certification class that will last for either 1 or 2 weeks depending on the project you are working on. Once training is complete, you will go into a 1 week nesting phase and then be able to schedule your own shifts the following week. NexRep is a great option for people who need reliable hours, but also need to have quite a bit of flexibility in their schedules – work-from-home moms or dads, family caregivers and so on. Since you are able to schedule shifts in 2 hour blocks, NexRep allows you to have the best of hours to work while still being able to partake in activities with your kids and family. NexRep pays out every 2 weeks and payment can be made via check or direct deposit. While these are great options and most people have no problems, some agents do complain that it has occasionally been difficult to get paid. As far as how much the pay is, it really depends on the project you are working on. The company claims that wages are anywhere between $15 and $25 or more per hour. I’ve read about a few people (who were on the pay by the minute projects) getting less, but it seemed that they weren’t taking advantage of choosing peak times to work. Some projects pay hourly or hourly plus commission and others pay by minutes of talk time. I would suggest clicking here and choosing the position you are interested in to find out more specific details. Certification for each call type is different. It generally includes: a week of e-learning done live via webinar with a certifier and a week of nesting, where a quality assurance contractor will monitor your calls and assist you. Aside from Inbound Sales and Outbound Classes are 3-6 days in length. All of the certification classes are virtual. A couple require video chat – most do not. The daily training sessions are typically 4 – 6 hours per day. The classes are small to allow everyone to get all their questions answered. A lot of agents say that they felt very confident when they started their first day live on the phone with customers because of the amount of training they had received. The nesting period is a real plus – it allows you to work one-on-one with an experienced agent so that you feel confident when you begin taking calls on your own. For most call types there is a certification bonus, contingent on the contractor attending all of certification and providing service for 2 weeks. 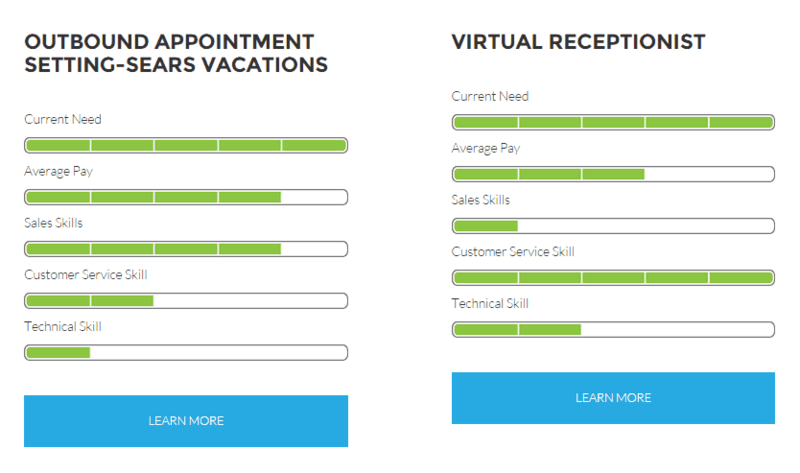 Virtual Receptionist is an unpaid certification class. So an agent would need to complete class and provide service for 1-2 weeks before getting any monies for class. NexRep communicates with contractors primarily through email and chat, which happens every day. Calls are usually for help sessions with contractors and are done over the internet. While researching NexRep, I found very few instances of someone complaining of poor support from management or their teammates. The biggest complaint I read was on a post from back in 2013 and it truly sounded like someone who was terminated due to calling in too often, so I didn’t place a lot of merit in it. Most other instances that I found of agents talking about their experiences with NexRep stated that their teammates and managers were very supportive and that they were frequently offered additional training or advise to help them earn higher commissions or improve their skills. NexRep does prefer applicants who have a college degree and who have had previous experience, especially in the sales area. You can check here to see the most updated requirements. From everything I read in reviews and on forums, most people seemed happy with the application process, the work and the management support. There are very few complaints out there about NexRep. Since they offer decent wages with a very flexible schedule, I would say that it’s definitely worth checking out this virtual call center job from home – especially since there is such a low cost associated with getting started with them. Verdict: NexRep is a legitimate anywhere anytime job. Have you worked for NexRep? Or any other virtual call centers? We’d be happy if you shared your experiences. And if you have any questions, feel free to ask those as well! Thank you for taking the time to research and writing about this virtual company. I am looking to work in a WFH company, I have been researching tireless and besides this company and couple more like Granada Insurance Co.; there are not too many to choose from. The line of company that I am interested to work for is in the insurance industry as an insurance sales. So I would like to ask you if you have any information from Granada Insurance Co.. Also, regarding Nexrep, it is not clear to me if they offer insurance sales positions and if so, what insurance lines. Thank you in advance for your time and very helpful information. I’m sorry to say that I haven’t researched Granada Insurance Co. and don’t have any info on them at the moment. Regarding Nexrep, I purposefully didn’t include open positions in the review as they are always changing. You can find out general information about their present needs here and if you have further questions you can contact them at agents@nexrep.com. Hello again. You are so helpful, thank you very much for your response and great information. Since today is Dec 30th 2016, I would like to wish you a prosperous and Happy New Year 2017!!!. As well as everyone on your forum, the best luck in finding a good job. I have looked into a few call center jobs from home but with so many options on the internet, it’s hard to decide. NexRep sounds like a great company, especially reading through the pros. The wages are fairly reasonable and I am planning submit my application there. This virtual call platform could be ideal for a lot of people wanting work from home jobs. We’ll see how it goes! Well this looks like a pretty cool option for people who want to work from home – a refreshing change for once! I like the way that they want you to work a minimum set of hours, at least that indicates that there is work there and you will earn something decent! Great review, I shall look into this further. I thought it was pretty cool too, Chris. I like the type of flexibility in choosing your hours, the ability to keep your job even if you have to move and the fact that you don’t need a dedicated phone line. Come back and give us some feedback if you actually go for it. Does anyone know if Nexrep will work if you happen to travel out of country? NexRep is a US based company and you have to be in the US to work for them, Sha. All services must be provided from within the United States. So if you travel outside the States for some time, you would not be able to provide NexRep services during that time. A while back, I did some door-to-door selling and came across a young woman who provided a similar phone service out of her home. I didn’t get an opportunity to go into details with her on the position, as she was currently on the clock. However, I’ve been curious ever since. Your review was very thorough and provided me a decent idea of what to expect. Thank you. Happy to be of use, Renee. Call center jobs vary a lot from company to company in terms of what they expect of you and what you get. So you do need to do your homework before applying for such positions. Some really do a good job of giving you a satisfying job and others don’t. Thank you for this thorough and honest review. The company sounds serious and reliable and as a stay at home mom I’d definitely be interested in working for them. Unfortunately I live in Europe, do they offer any positions here? Do you know any similar, reliable companies on the European market? I’m glad you found it helpful, Kams. Yes, the company does seem to be serious about what they do and how they treat both customers and employees/home agents. They don’t have offer positions in Europe as far as I can tell. I have been researching Arise in the US, which is also a reputable company. They do have a European branch, but do not seem to recruit home agents in Europe as they do in the US. As I mentioned in a comment earlier, Solo Virtual Solutions, based in the UK, is a virtual call center that allows you to work from home. But I haven’t researched it so really can’t recommend it. Hi, great information to help someone to make an educated decision on the virtual call center job with NexRep. I liked how you listed pros and cons of the position and shared the past experiences of other reps. It gave me a better idea of what people think of the company, not just what the company wants people to think of them. The last virtual call center I worked for didn’t have very good support which made it pretty hard. From your review, it sounds like they have good support. But do you know anyone personally who can vouch for this? I’m glad you found it useful Angel. My aim is to help people make that educated decision. As far as the support goes, no, I don’t know anyone personally who has worked there. My review is based on research through forums, websites and answers from NexRep representatives. I do have a friend who was making inquires and got fast, satisfactory answers from them via email. I was also satisfied with the answers and help they gave me when I asked questions regarding factual information I wanted for this review. Hi Robin, I enjoyed reading this post as the whole concept of virtual call centers is something quite new to me. What a fantastic idea – I imagine it saves the company money whilst also giving people the opportunity and flexibility to work from home. Working from home is such a popular thing to do, but unfortunately the internet is littered with scams and rip off opportunities, so it’s very hard to know whats real. I found this review very thorough and it really comes across as a legit opportunity. Unfortunately for me I am not based in the US, so it does not appear like this is something I could do at this time. Do you know if they have any plans to expand the areas from where people can work, or do they have a sister company or equivalent in the UK? Virtual call centers are a pretty neat concept. Their requirements and benefits vary a lot from company to company though. Some employ you and hence give more benefits, but others hire you as an independent contractor which obviously will mean less benefits. At the same time, the companies that hire independent contractors usually allow much more flexibility in terms of timings etc. That is one of the things that tips the balance for me. And yes there are a ton of scams. You really have to do your research! NexRep seems to be quite legit to me . During my research, I contacted them several times and they were very helpful. The information I got from different forums seemed consistent which I thought was a good sign.